Years before Facebook, Instagram and Twitter took over as the prime spots for oversharing, people had to go to websites like Open Diary, Blogger and LiveJournal to publish their thoughts for the world to read. But over time, social media became the way that people shared articles that reflected their politics, posted images of loved ones and sent out messages of frustration or exultation. 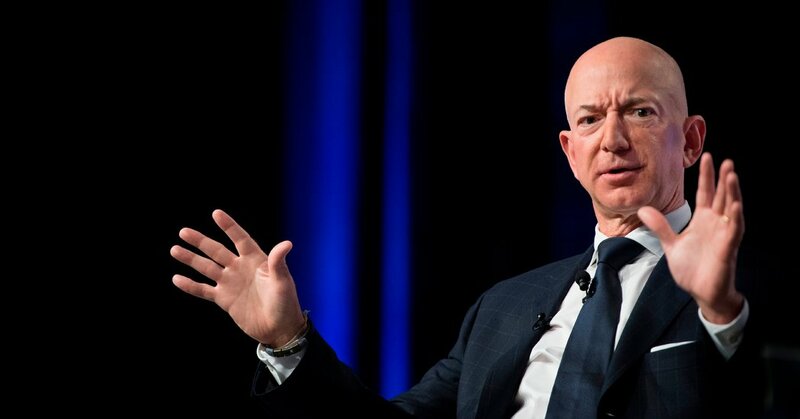 That was when Jeff Bezos, Amazon’s billionaire chief executive, took to the website to accuse American Media Inc., the parent company of The National Enquirer, of “extortion and blackmail.” The headline of the post was “No thank you, Mr. Pecker,” a reference to David J. Pecker, the chairman of American Media. “We do not actively monitor the specific, nonpublic details and actions of these (or any) accounts out of respect to and adherence to their individual privacies,” the spokeswoman, Sandee Roston, said in an emailed statement. The opportunity to publish for a nonbranded platform has made Medium, which was founded by Ev Williams in 2012, an appealing destination for a number of marquee media figures and chief executives. Katie Couric has used Medium to promote interviews and philanthropic partnerships. Joanna Coles, the former chief content officer of Hearst Magazines, used the platform to write about her experience as a working mother. In 2015, Jay Carney, the senior vice president of global corporate affairs for Amazon, disputed an article in The New York Times about Amazon’s work culture in a post on Medium. Dean Baquet, the executive editor of The Times, responded on the platform, defending The Times’s reporting. Medium can be appealing because it’s unfiltered and posts can be however long the writer wants them to be. For Mr. Bezos, that was about 2,100 words. February 11, 2019 Comments Off on ‘Homosexual Community’ Controls City Council, One Member Says. He’s Resisting Calls to Resign.